Most of the supplies I used for this project are linked in the link-up tool at the bottom of this post. 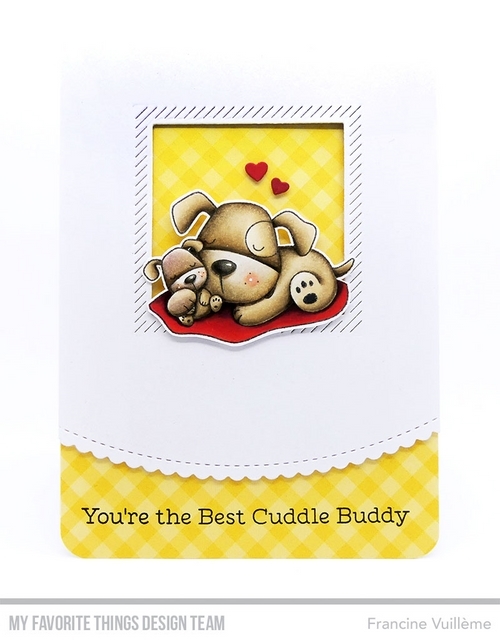 For this card, I used the Playful Pups stamp set. The scalloped border is from the Stitched Scallop Basic Edges Die-namics set. 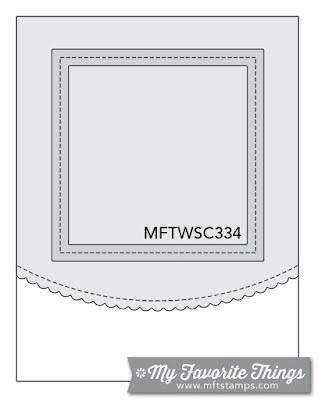 The opening was created with the Inside & Out Diagonal Stitched Square Die-namics. The patterned paper is from the Farm Fresh Gingham paper pack. Aww...such a sweet scene, Francine! I love how you used the diagonal stitching as a frame and your yellow gingham papers are just perfect here...a really darling card and lovely take on the sketch!